Carolyn is the Executive Director of Family Voices of Minnesota, a state-wide, non-profit organization, and the Family Voices state affiliate organization and member of the Parent-to-Parent USA alliance. Family Voices of Minnesota provides families support, information and tools to navigate the health care system, make informed decisions, and build partnerships. Carolyn has a long history of working in quality improvement initiatives focused on improving health care for children and youth with special health care needs. Carolyn has been part of a number of local and national projects focused on improving care for children and youth with special health care needs including the CMMI funded CARE Award with the Children’s Hospital Association, the Center of Excellence on Quality of Care Measures for Children with Complex Needs at Seattle Children’s Research Institute and Achieving a Shared Plan of Care for Children and Youth with Special Health Care Needs project funded by the Lucile Packard Foundation. Over the past twenty-nine years Carolyn has coordinated several Federal Maternal Child Health Bureau grants including a recently completed grant focused on studying the efficacy and outcomes of parent to parent peer support. She also coordinated the Minnesota Medical Home Learning Collaborative at the Minnesota Department of Health from 2006-2009 and the Early Hearing Detection and Intervention quality improvement learning collaborative from 2009-2010. Prior to her work at the Minnesota Department of Health Carolyn coordinated the MCHB funded Minnesota Family-to-Family Health Information Center at PACER Center. Carolyn has been a parent leader in the family-centered care movement in Minnesota since the late 1980s, she was a family advocate at Children’s Hospitals and Clinics of Minnesota starting a family-centered care training program for medical school students and residents there and was a founding member of the first family advisory committee in Minnesota at a children’s hospital. 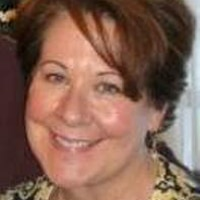 Carolyn has written and contributed to a number of publications and commentaries for families and professionals about family-centered care and parent/professional collaboration, including: Working with Doctors, Speaking Up For Your Child and The Importance of the Family Voice in Quality Measure Development for Children’s Health Care. Carolyn her husband are the parents of four children; her youngest son was born with complex health care needs.